Something to help you remember your wonderful vacation. Or special gifts that are uniquely Israeli for your friends and family. There are endless possibilities for buying souvenirs from Israel. You can continue reading on where to buy souvenirs in Israel, or go directly to our eight recommended souvenirs from Israel. You can find great gifts to buy all over Israel. The open air markets are a natural place to find souvenirs. Places like Tel Aviv's Carmel Market, the Jaffa Flea Market (Shuk Hapishpishim), and in Jerusalem: Mahane Yehuda Market and the Old City Market in the Muslim Quarter. Its normal but not obligatory for you to bargain a bit (especially in the Old City market). But this isn't Southeast Asia... You can try to reduce your price by ten or at most, twenty percent, not more than that. If you look closely, some of the so-called Holy Land souvenirs are made in China. So if you prefer something authentic and made in Israel, do check before you buy. Besides the markets, major streets and shopping centers in the big cities have good souvenir shops. In Jerusalem, Ben Yehuda Street is full of gift stores for tourists. There are also high quality souvenirs in the Cardo in the Old City's Jewish Quarter. You can also buy artistic gifts in Jerusalem's Artists Colony, sometimes called the Arts and Crafts Alley. 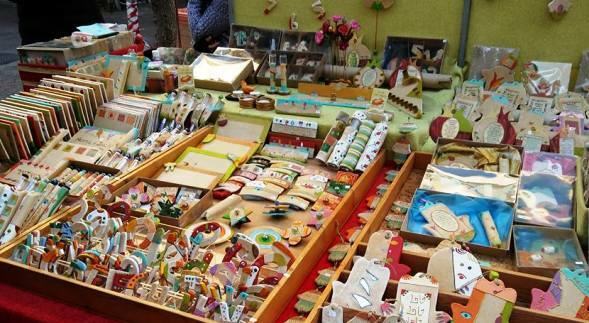 In Tel Aviv, Nahalat Binyamin Crafts Market is open every Tuesday and Friday and is a wonderful place for local artisan handiworks. Another good place for souvenirs are the shops in Hatachana, the Old Train Station complex just north of Jaffa. Read more about the best places to go shopping in Tel Aviv. For quality gifts from Israel, the museum shops offer beautiful replicas of ancient jewelery and relics found in the region, as well as books, scarves and more. In Tel Aviv, we recommend the shops at Eretz Israel Museum, and at the Museum of the Jewish People, Beit Hatfutsot. 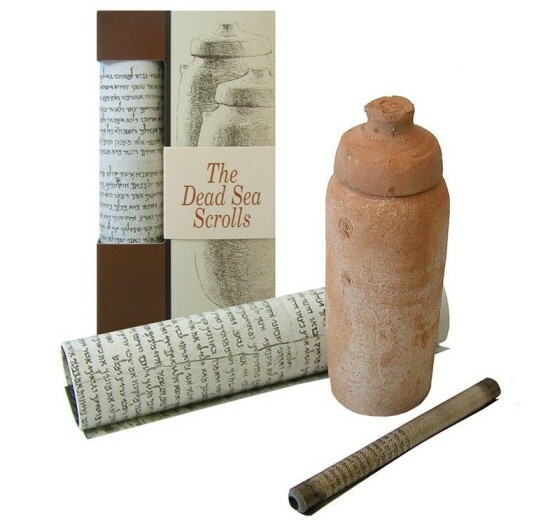 In Jerusalem, the Israel Museum has amazing souvenirs, mock archaeological finds, and more, such as this replica of the Dead Sea Scrolls. Explore Israel Museum gifts here. Or you may prefer to save the time and hassle of gift shopping and packing during your vacation, and buy your Israeli gifts online, shipping them directly home. Israel is the Jewish homeland and many tourists want at least one souvenir with a Jewish theme. 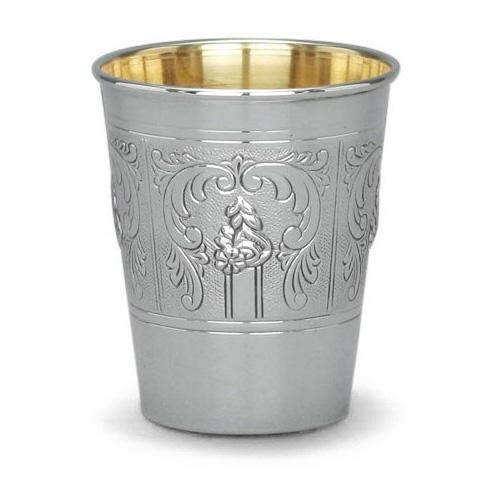 There are gifts for Jewish holidays - things like menorahs for Hannukah, honey dishes for the Jewish New Year, seder plates for Passover, and more. And there are beautiful everyday items such as: mezuzahs to hang on doorposts, and candlesticks, wine cups, and challah boards for the Sabbath. Israel is well known for its modern and sometimes humoristic takes on traditional products, such as this sweet honey dish for Rosh Hashana, the Jewish New Year. 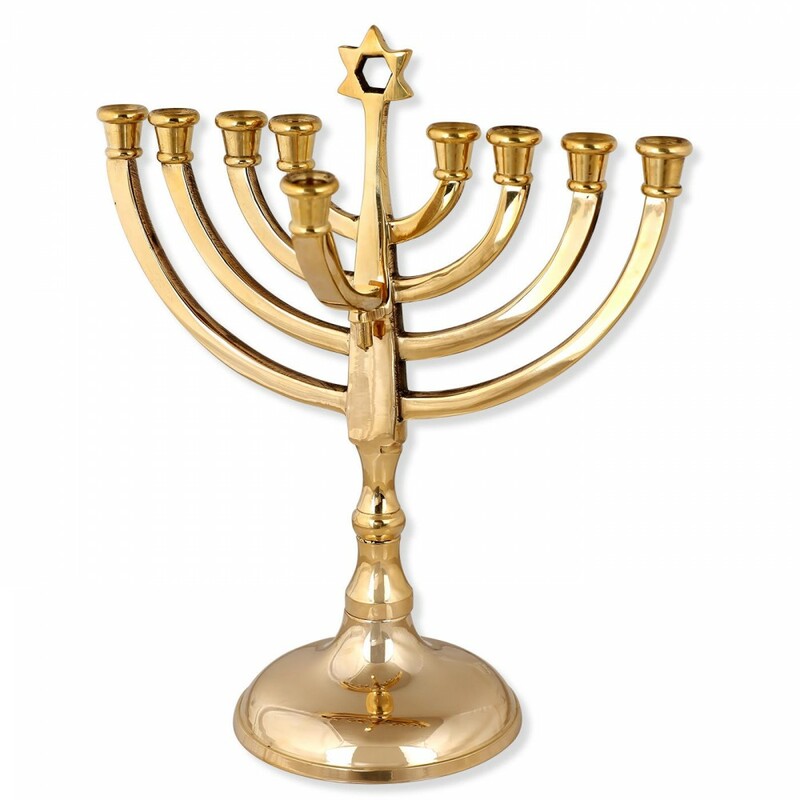 You may prefer more traditional designs for Judaica, such as this beautiful bronze Menorah with a detachable 'shamash' for lighting the Hanuka candles. Explore Hanuka Menorahs which make great Israeli souvenirs. 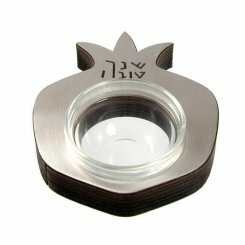 Are you looking for classic, Jewish ceremonial pieces? If so, the Hazorfim stores all over Israel sell beautiful, handmade Judaica. Explore sterling silver Judaica from HaZorfim. Visting Israel can be quite inspirational for Christians. 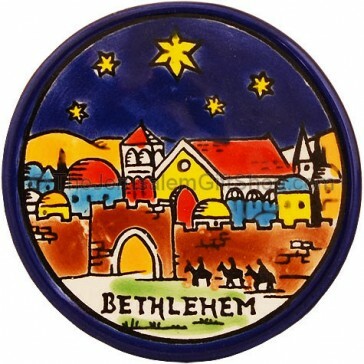 There are lots of Christian souvenirs from the Holy Land that make great gifts. Armenians are one of the oldest Christian sects in Israel having excaped religious persecution in their native lands. 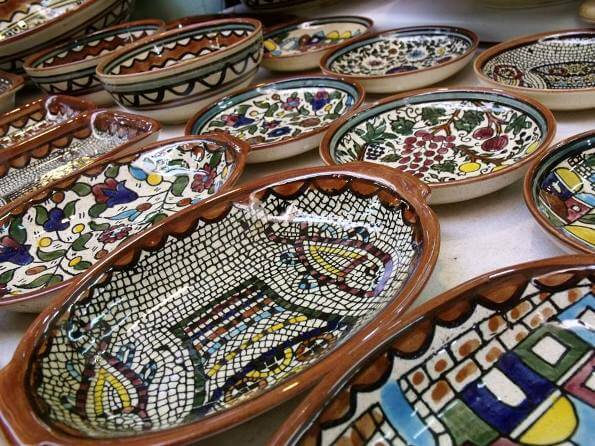 Their ceramics are popular souvenirs to bring back from the Holy Land. Explore traditional Armenian ceramics with Christian themes. 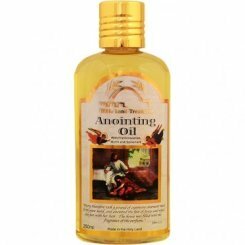 Anointing with oil is still considered a sacred act, making people or things holy. Annointing oils from the Holy Land are made with virgin Israeli olive oil blended with biblical scents such as myrrh, cinammon, rose of sharon, frankincense and spikenard. Explore Annointing Oils made in the Holy Land. Olive trees, and olive wood carvings have been abundant in Israel for thousands of years. You can buy olive wood crosses, Christmas tree ornaments, nativity scenes, jewelery boxes, statues and houseware. 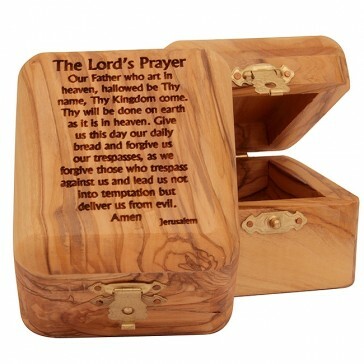 Explore olive wood products with Christian themes. Dead Sea minerals have been used in cosmetics for ages, some even say from as far back as ancient Egypt and Cleopatra! Cosmetics made of Dead Sea mud and minerals make ideal gifts to bring back from Israel. The prices depends on the brand and the type of product you buy. 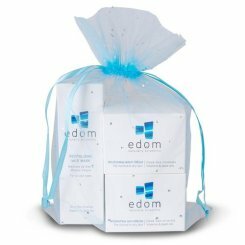 Edom are one of the well known Dead Sea skin products. This trio gift pack includes both a facial day moisturizing day and night cream, and a mud mask. Explore this product and other Edom Dead Sea cosmetics. Ahava makes high-quality products and is probably the the most well-known acompany for Dead Sea mineral cosmetics. I love using their hand and face creams. 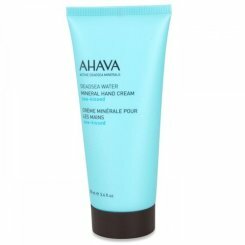 Explore Ahava hand cream and other Ahava cosmetics. Clineral moisture-rich Dead Sea products are formulated for people with skin disorders. Each product alleviates symptoms of either psoriasis, atopic dermatitis, eczema, seborrhea and others. 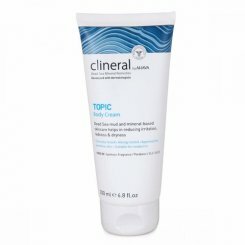 Explore Clineral body creams and other skincare products designed to reduce itchiness, redness, flaking and dryness. Locally-designed jewelery are a nice gift from Israel. There is a huge range of prices and styles you can buy, from fun and cheap costume jewelry, to designer jewelery with precious stones. 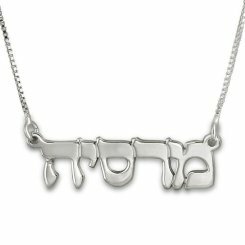 Hebrew name jewelery make for a unique gift for children and adults alike. You can choose necklaces, bracelets and even rings in sterling silver or gold. You don't have to know your name in Hebrew and can get your English name translated for you. Explore Hebrew name necklaces and bracelets made in Israel. I especially love the replicas of jewelery from ancient Israel, such as these exquisite Roman-glass earrings in silver. I wonder who wore them? Red string, kabbalah bracelets have been made popular worldwide by famous actors. 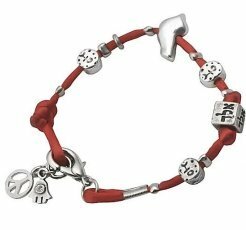 Many Israelis wear their red strings decorated with Kabbalah-inspired silver charms. Explore fun and funky Israeli-designed jewelery. Pottery and ceramics from Israel are great souvenirs from Israel to bring back home to friends and family. There are all kinds of plates, bowls and other house utensils and decorations. You can find that 'Israeli' style in both traditional and modern objects. A 'hamsa' is an ancient charm symbolizing the Hand of God and a protection against the evil eye. Its origins are most likely pagan, but it is common throughout the Middle East in Islamic and Jewish traditions. 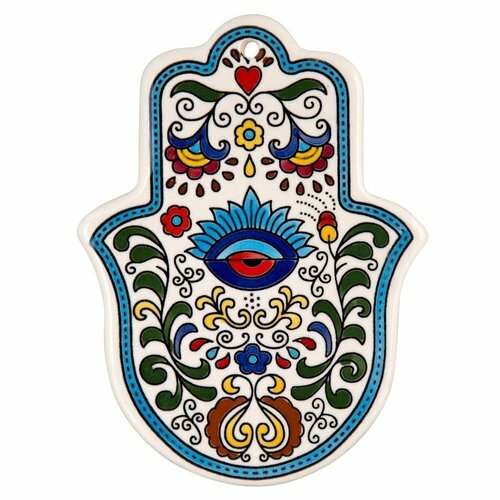 This 'Hamsa' wall hanging made in Armenian ceramics is a beauty. Explore Armenian and other ceramic and houseware gifts from Israel. Israel, the Land of Milk and Honey is famous for its chefs and its wonderful, homegrown specialty food products. Swet Israeli halva made from sesame seeds is simply delectable! My favorite is the classic vanilla halva with pistachio nuts. 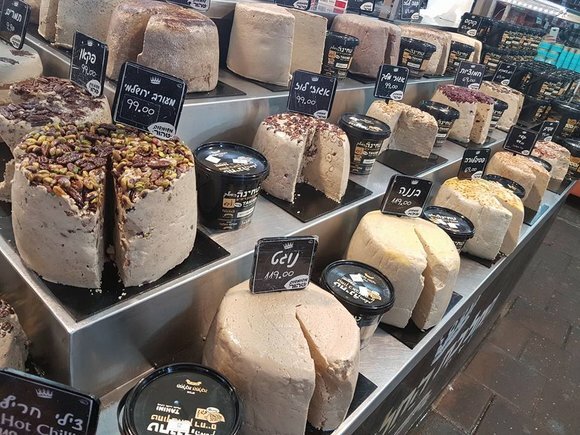 You can buy fresh halva in the local markets such as Shuk Hacarmel and Mahane Yehuda in Jerusalem. But you may prefer to buy Israeli foodstuff online and save the hassle of traveling with food. Explore quality, packaged Israeli halva from Baracke, a joint venture of the Bushir family and Telma. Israel is famous for basic food products grown locally. Its extra virgin olive oil. Varieties of honey. Products that are made from promegranates. And Israeli wine whose quality and variety are gaining a name worldwide. 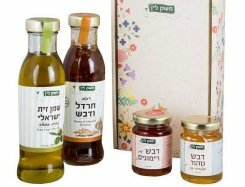 Explore a variety of kosher Israeli food gifts and individual food products. Locally inspired clothing make perfect presents to give to grownup and children alike. You can choose between t-shirts, polo shirts, baseball caps, scarves, and so on. There are Israeli t-shirts as well as classic polo shirts, in almost every color and size. 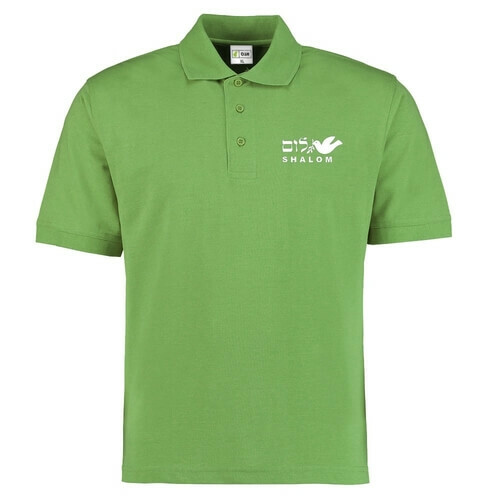 You can choose pleasant, 'discrete' Israeli designs such as this Shalom Dove design in white, on the green polo shirt . Explore a variety of Israel-inspired polo shirts and t-shirts. There are shirts with artistic or funny themes too. For example, I like these these fun, camel-inspired t-shirts in blue for boys and pink for girls. 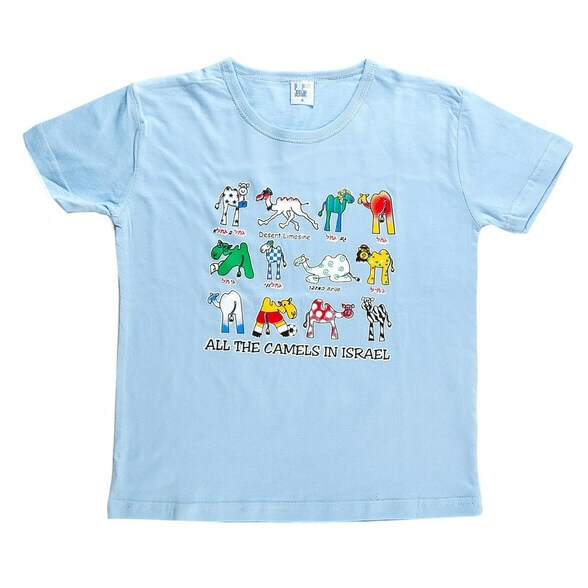 Explore a variety of camel-inspired clothing adults and children. If you are looking for a more elegant clothes gift, you might want to consider these lovely, silk scarves that are handpainted with themes from Israel and Jerusalem. 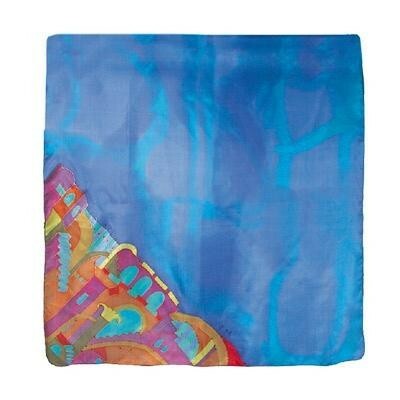 Explore a variety of designer silk scarves with Israeli themes. There are hundreds of books on Israel to read yourself or buy as gifts - Israel travel, history, art, archaeology and more. Here is my list of of 7 recommended books related to Israel.